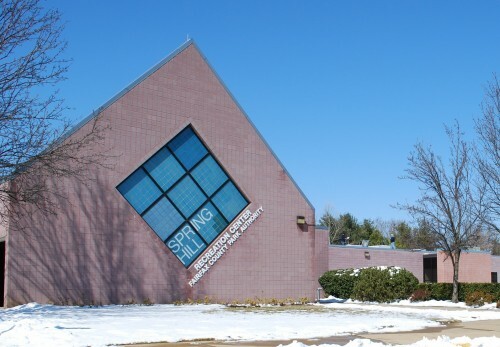 Spring Hill is one of eight Fairfax County Park Authority’s ReCenters which SWSG has provided HVAC upgrades. SWSG confirmed the scope of work for HVAC controls, developed the design requirements, prepared the construction documents and cost estimates, submitted plans for building permit, and performed construction administration. The scope included replacing two pool pac dehumidification units with A/C capabilities, an energy recovery unit, oil separator, bay drainage system, integrated controls and electrical equipment, rerouted piping, ductwork, water coils cleaning, and removal and reinstallation of roof and roof supports to allow removal of old units and new equipment installation. SWSG provided engineering services for a full facility HVAC replacement. 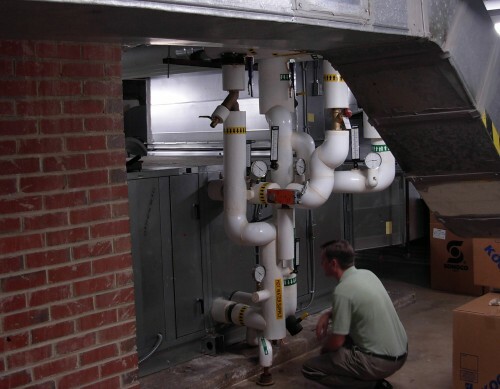 Engineers performed a facility assessment of the existing HVAC system, identified deficiencies, and developed options to upgrade the entire system including budgetary cost estimates. 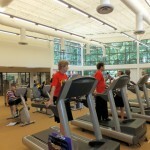 The renovation was developed in phases to allow the community center to remain open for a portion of the work. 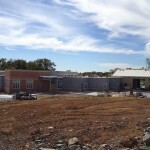 Work included HVAC, plumbing, electrical, and fire protection. The upgrade consisted of cooling tower, chiller, pumps, boilers, air handling units, chilled water piping, ductwork, fire alarm, and a VAV system addition.